Onlookers watch and cheer as a helicopter flies towards an airstrip near the cave to transport the fifth boy rescued to hospital. 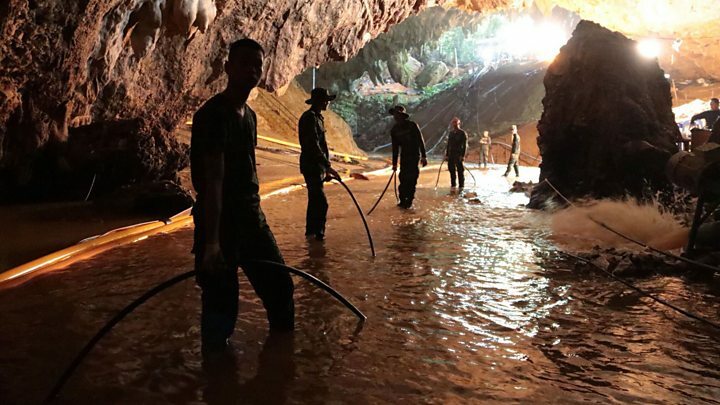 Cave divers in northern Thailand have rescued four more boys from a vast flooded cave system on the second day of a complex operation. 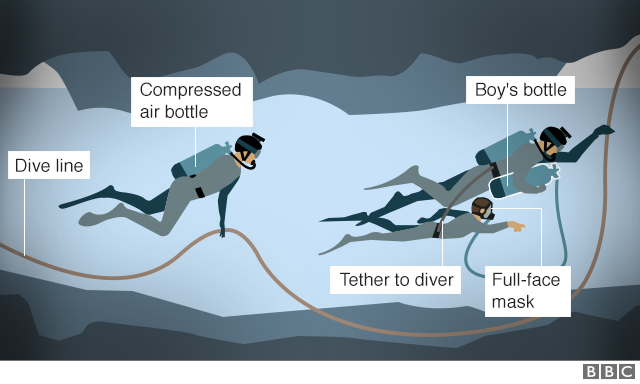 The group was trapped in the cave on 23 June after heavy rains caused flooding, and found alive last week by divers. 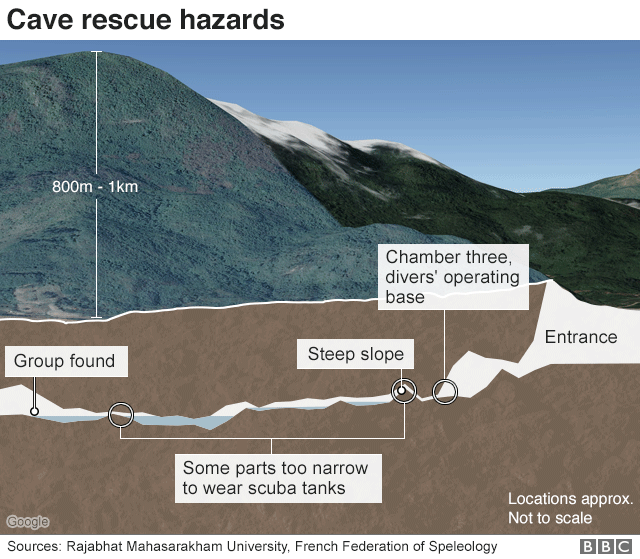 The rescue is complicated by sections in the cave involving diving - sometimes in a very confined space - and climbing. Rescue mission chief Narongsak Osottanakorn said it had resumed at 11:00 local time (04:00 GMT) and would conclude at 21:00. "More personnel" were being used than on Sunday, he added. Mr Narongsak allayed concerns that recent heavy rain might have raised water levels, saying conditions were "as good as yesterday". Rescuers took advantage of a break in the rain on Sunday to launch the mission earlier than some expected. The first stage of the mission ran "smoothly" and the rescued boys were in "good health", according to the Thai authorities. 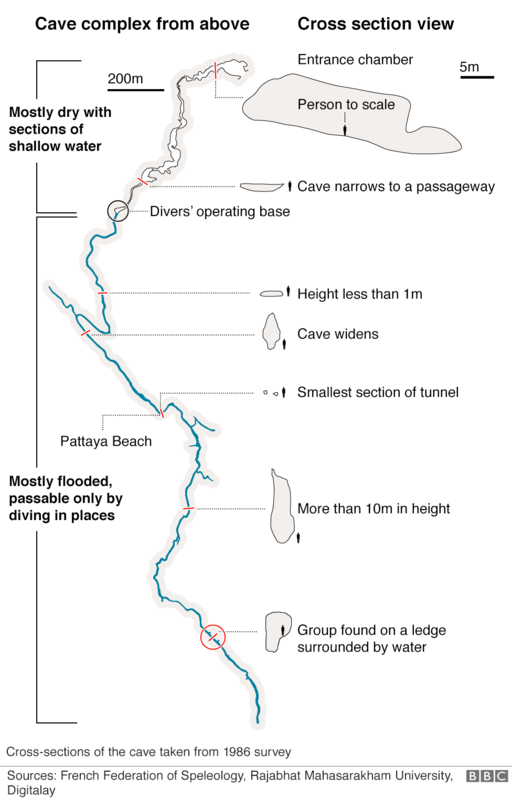 A team of 90 expert divers - 40 from Thailand and 50 from overseas - has been working in the cave system. He lost consciousness and could not be revived. His colleagues said they would "not let the sacrifice of our friend go to waste". 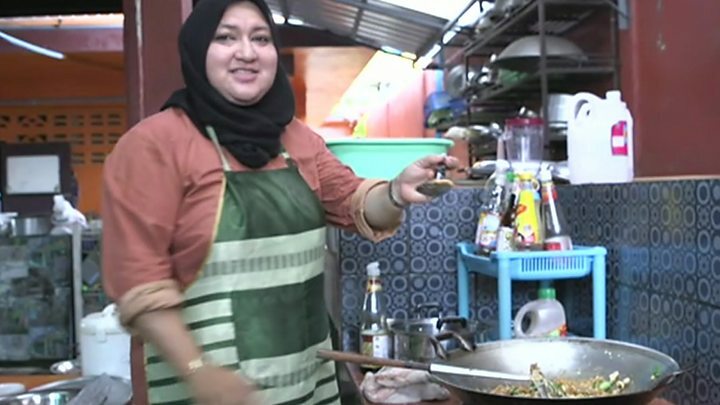 Wife and father remember 'hero' Thai diver: "He loved helping others"
Officials had originally thought the group might have to stay where they were until the rainy season ended - and that could have meant months underground.